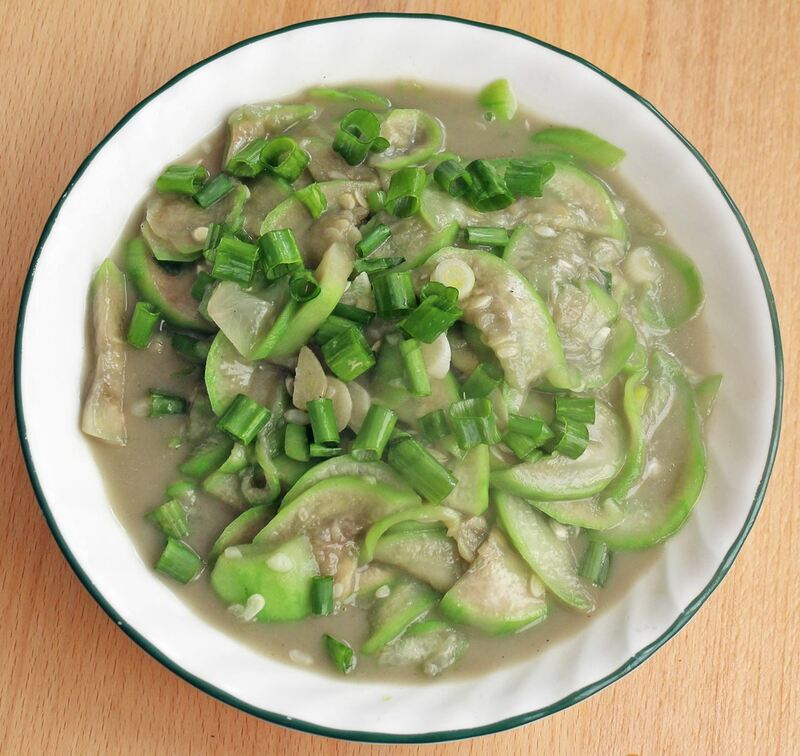 Baiyou Sigua is a pretty popular home dish in Sichuan. 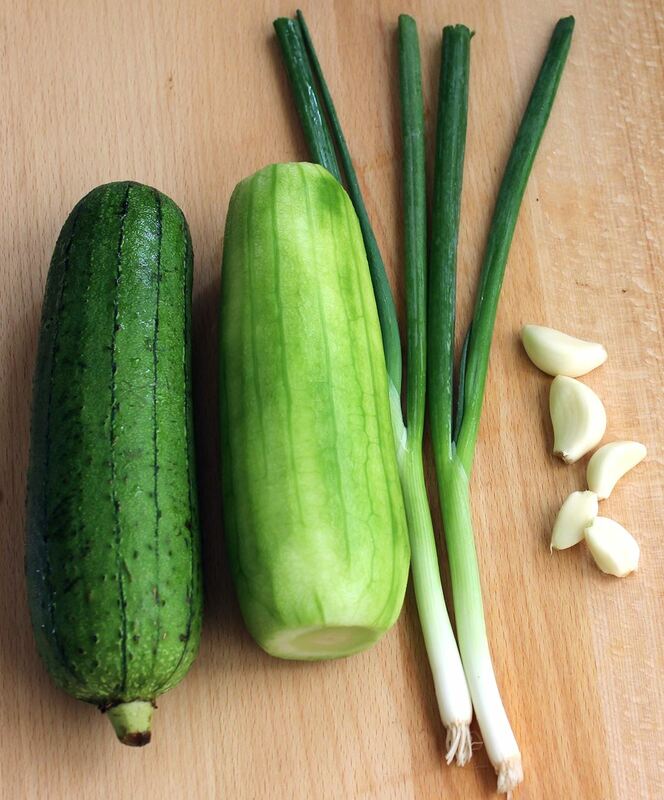 The sponge gourd, also called towel gourd, is either sliced thinly as done in the recipe or cut into chunks for better finished looking. 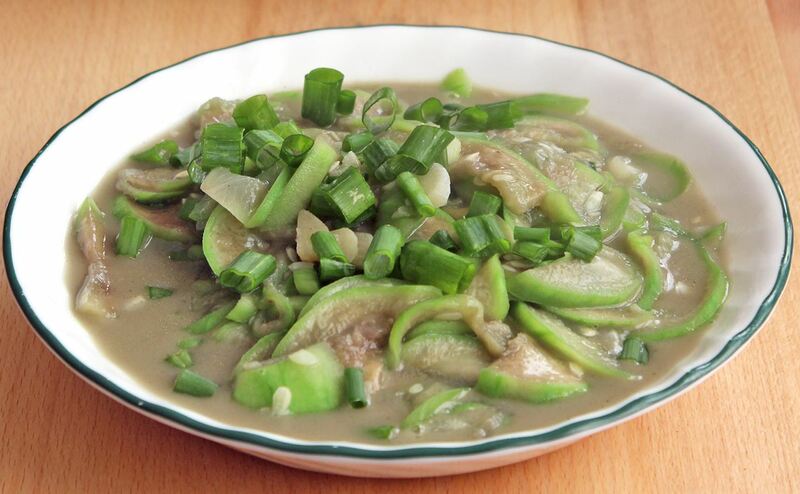 The gourd is stir-fried in its own juice and its own original flavor. It can be prepared in a few minutes and is very healthy. The natural light sweet flavor is even loved by most young kids who do not like vegetables at all. 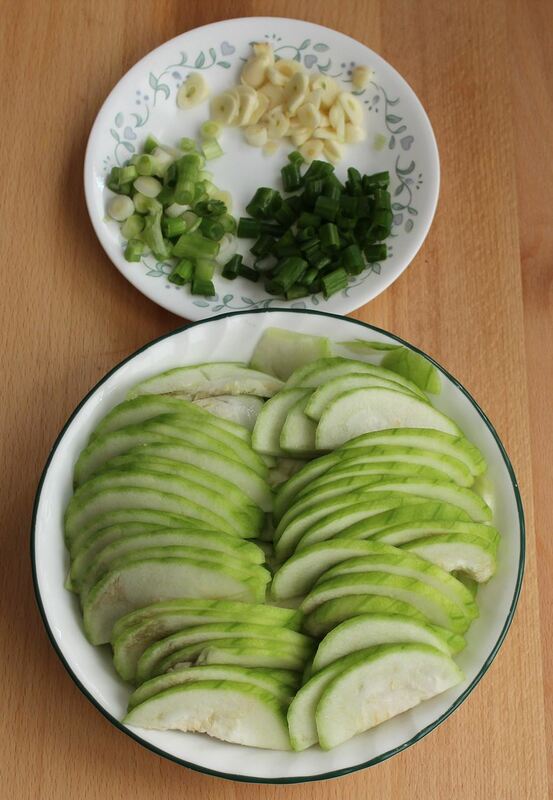 1Remove the skin of sponge gourd which is also called towel gourd. 3Heat cooking oil in wok over medium or high heat. 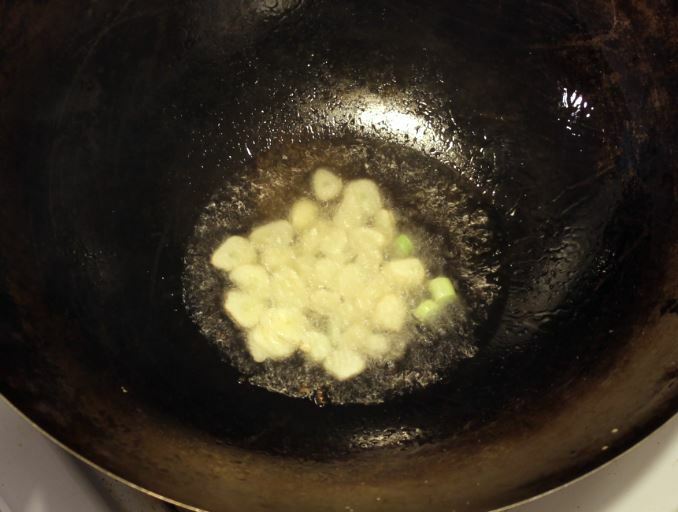 Stir in garlic and onion stems. 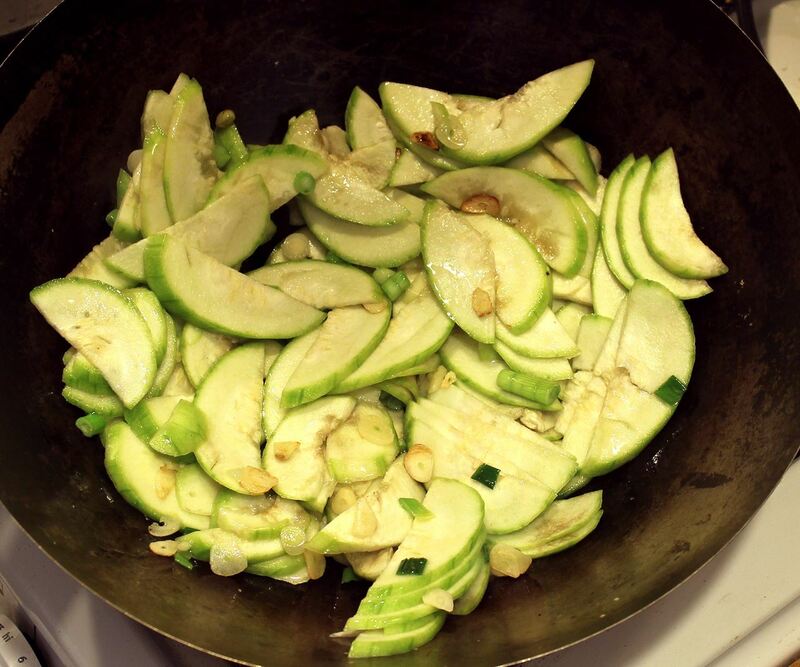 4Add sponge gourd and stir constantly until cooked. Add salt to taste.